We Care about Your Career! Knowledge, skills and abilities are a skill set required for a particular job function. The KSAs determine if an individual is qualified enough for a particular job. The KSAs distinguish between the qualified and the unqualified candidates. Knowledge refers to a body of information required for a job function. Skills refer to the mental or verbal manipulation of data done within a fixed time frame to test one’s skill set. Ability aspect refers to the power or ability to perform a particular task. There is no fixed path or way to answer the knowledge skills and abilities questions correctly but there are certainly some good ways and tips available to answer them in the best form possible. Below are some tips on how to answer knowledge, skills and abilities questions correctly. An individual should make sure to discuss one’s important accomplishments at work or school which would make one appear an accomplished person or at least someone who has achieved something in life. One should include real-life examples of how one went above and beyond one’s responsibilities and duties to accomplish something. Also, when writing an essay piece for KSAs, it is beneficial to include action words like initiated and managed in one’s work experience so as to have an edge over one’s competitors. By all means, it is imperative to have correct grammar and spellings in the essay, even bullet points can be useful as they make the points concise and to the point. One also needs to be specific and precise when writing or talking about one’s experience and skills. One should not ramble and divert from the main point. One needs to be organized when answering any question related to the KSAs of a job function. Detail is another key. One needs to mention in detail about one’s past experiences. For example, if one needs to write or talk about his experience as a marketing analyst, he/she needs to mention the type of data analyzed, the type of reports generated, what software were used in analyzing process etc. Just saying that you prepared reports would not help you in moving forward in the hiring process instead you need to say what kind of reports you prepared or generated and how they helped the business. The hiring person needs to know what exact duties you would be able to carry out. When you apply for a vacancy or position in a federal government department, you have to prove your knowledge, skills and abilities by answering the questions asked by the employer. To win the position, you have to satisfy the employer by providing logical answers to these questions. 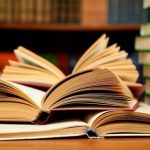 Let’s have a look at a step-by-step guide about how to answer knowledge skills and abilities questions? Read the questions carefully: The first step to answer the KSA questions correctly is reading the questions carefully whether they are about knowledge, skills or abilities. You must have to distinguish these questions category wise especially the questions about skills and abilities because they usually look alike. Select only the relevant knowledge, skills and abilities: It is obvious that you would have expertise in many areas, but it doesn’t mean that you should write down all about yourself. Only choose those knowledge, skills, and abilities which have been asked in the questions. Don’t create mess or confusion by including irrelevant experiences. Precise and brief answers: Well, if you are thinking that long answers can save your position or can make your statement strong, it is not. No one is interested in reading the long stories, so be precise while answering the questions and make them brief. Share your proficiencies and achievements: If you will found any such KSA question that needs the answer of any relevant knowledge, skill or ability in which you have achieved something special, you must mention that one in details. It will definitely add a plus point in your selection. Avoid wrong information or any type of exaggeration because it can create problems for you at the time of interview. Always remember! You cannot justify the wrong information, so it will simply lose your chances not only for the particular position but for the future job openings in other federal government departments as well. It is obvious that you must stay within the boundaries of questions while answering them. There is no need to drag the stories and provide irrelevant information just for the sake of lengthening the answers. You must give high-level attention to the format of documents that includes answers of KSA questions. The poorly formatted document expresses the careless attitude of the candidate as well as a lack of interest in the particular position. Spelling and grammatical mistakes should also be avoided. Before finalizing the document, you must proofread the whole draft and correct all the major and minor mistakes. 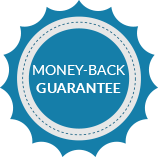 Money back guarantee: The major benefit of choosing our online writing service for answering the KSA questions is getting money back guarantee in case of facing rejection of document due to poor quality content. Guaranteed original content: We provide guaranteed original content to our valued clients. There are absolutely no chances of being trapped by plagiarism detection software. Guaranteed timely delivery: We completely fulfill our commitment with our clients in terms of providing the final document without any delay. On time delivery of the final document are our guarantee and specialty. Professional and dedicated writers: We only hire the highly professional and dedicated writers, who have vast experience of answering the difficult KSA questions in the winning style. You can contact them directly to describe your customized requirements. Round the clock support: Our devoted and efficient customer support team stays available for you 24/7 to provide you uninterrupted writing services round the clock. You can contact our customer support representatives via email, phone call or live chat at your own convenient time. Unlimited free revisions: You can get the unlimited revisions in the drafts of the document comprises answers of KSA questions and all these revisions will be 100% free of cost. Affordable price: By choosing our writing service for answering the KSA questions, you cannot only enjoy our highly affordable price range, but wonderful discount offers as well. Contact us today to let us guide you in how to answer KSA questions correctly! Thank you so much for settling everything on time! I was really afraid to get statements late.